Bethany College alumna and author, Jillian Maas Backman, is scheduled to be the featured speaker at the school’s convocation ceremony, scheduled for 10 a.m. Aug. 26 in Presser Hall. The first event planned is an invitation by Bethany College in Lindsborg, Kansas on August 26 with other venues nearby in the works. The author will be making appearances in Kansas City, Washington, DC, Chicago and Miami in the fall. 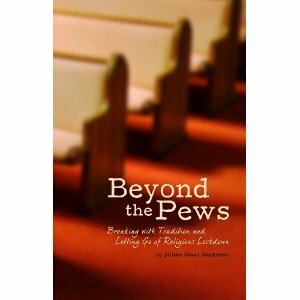 Maas Backman is starting a promotional tour for her new book, “BEYOND THE PEWS: Breaking With Tradition and Letting Go of Religious Lockdown ,” at Bethany College. She describes the book as an “interactive biography” that traces her journey to discover more about God. BEYOND THE PEWS is part poetry, part biography, and a complete guide to personal and natural communications, not forsaking traditional religious doctrine, but enhancing the contribution to the essential nature of divine intuition. As an intuitive explorer, Maas Backman and her book encourage readers to seek and embrace their own true essence and ignite the divine grace which exists within each of us. Jillian Maas Backman attended Bethany in the early 1980s, graduating from the University of Texas with a degree in psychology. She has worked in criminal justice, opened a spa in Wisconsin and now hosts a radio talk show in Lake Geneva, Wisc. The event is free and open to the public. There will be a “Meet and Greet” with Jillian following the ceremony.